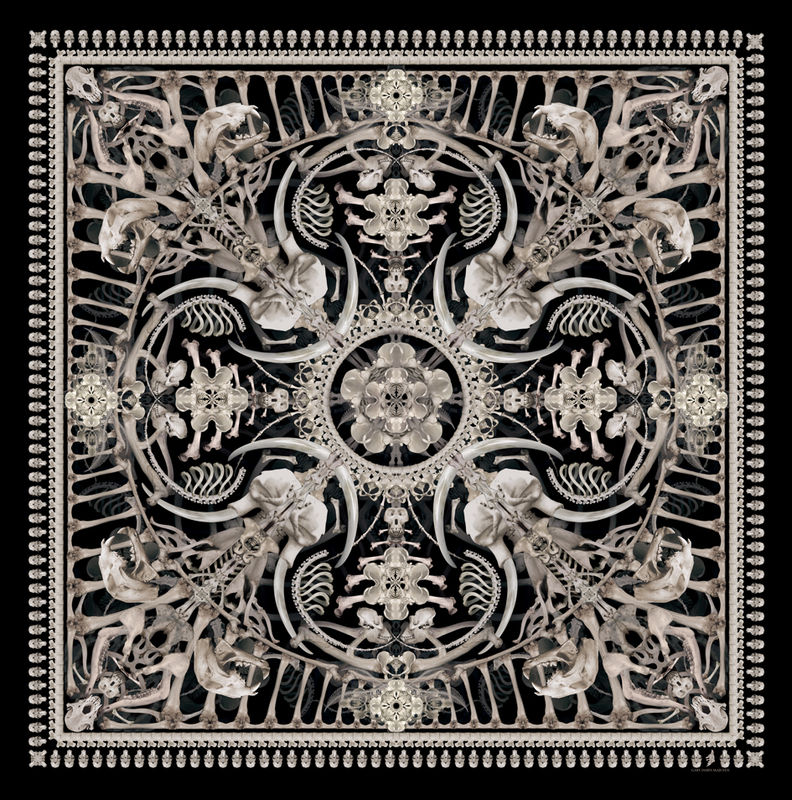 The debut Scarf collection by Gary James McQueen, Life - Death - Rebirth is available now. 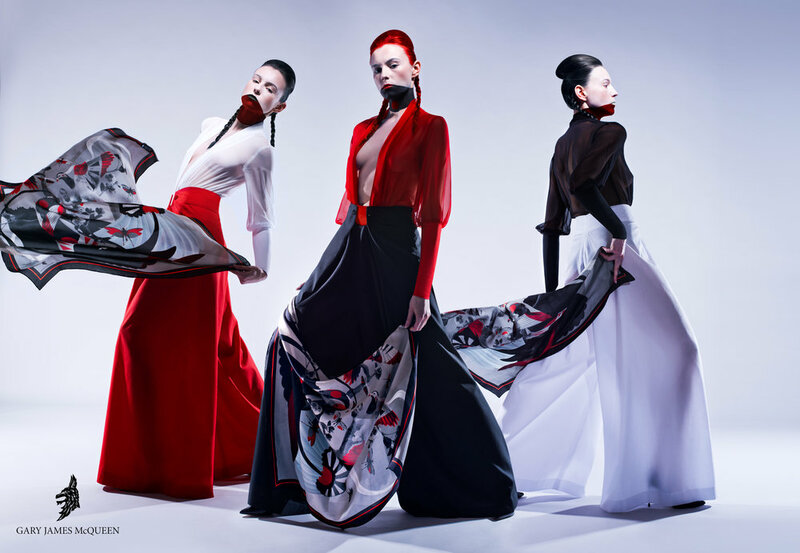 This collection focuses on strong influences from the designer's late uncle Alexander McQueen and serves as the life cycle of creative heritage passed down to continue it's evolutionary path. Please Allow 4 - 6 weeks for your scarf to arrive. Each Gary James McQueen product is made to order offering a more bespoke and personal purchasing experience for the customer. 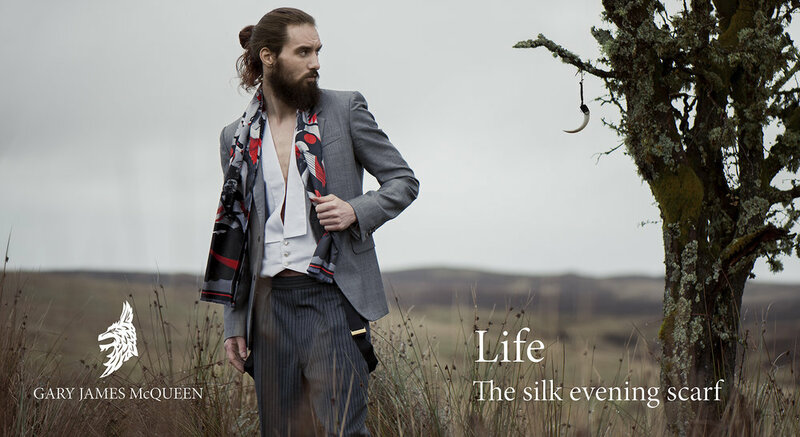 Gary James McQueen has now introduced a range of luxury silk evening scarves to the life, death, rebirth collection.